The origins of the community’s name dates back to the 1890′s. Area residents requested a post office and gathered to choose a name. During the meeting, a thunderstorm occurred, followed by a rainbow. The residents, struck with the rainbow’s beauty, named their town after it. In the 1920′s, Rainbow had a population of approximately 113. The population began to decrease after that period, reaching a low of 40 in 1960. With the opening of the nearby Dinosaur Valley State Park in the 1970′s, the population increased to it’s current range of between 76-121. 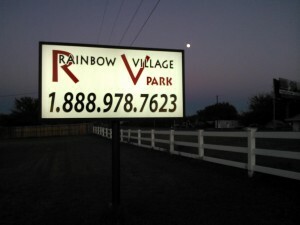 Rainbow Village encompasses 5.41 acres of land adjacent to the Squaw Valley Golf Club on US Highway 67 at County Road 303. A former trailer park with a colorful history, the community is now a planned residential development that (when complete) will include multiple amenities for its residents and offer affordable housing options to residents of all surrounding communities. 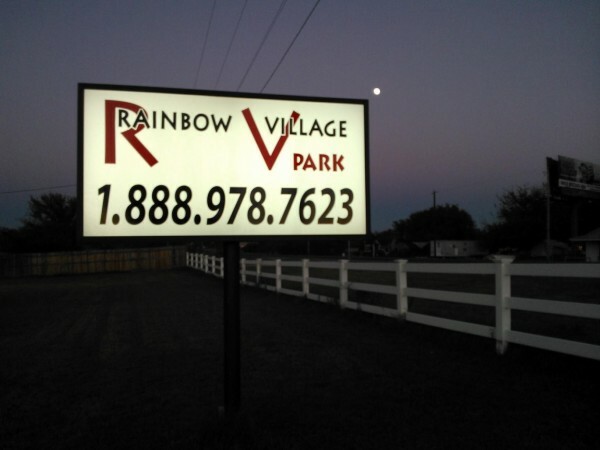 Purchased in 2009 by Melinda and Paul Brooke, Rainbow Village morphed from vacant land into short-term RV living, and finally into a residential community of single-family cottages for long term living. Melinda Brooke’s career has spanned more than 30 years. From humblest beginnings, she has been able to parlay her success into a most successful business career in the Phoenix area, owning and operating five dry cleaning establishments and employing more than 60 individuals. 2) to run a smooth operation by developing important long standing relationships among the staff members and suppliers alike. Her savvy ability to comprehend a situation is legend and she is well respected among her peers. She divested herself of dry cleaning locations, intent on finding another business venture suitable for herself and her husband to run together. 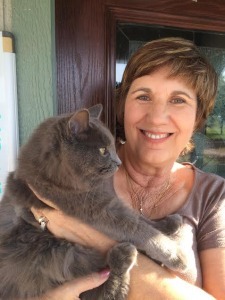 That decision led to the purchase of land in the Glen Rose/Rainbow area of Texas. Mr. Brooke’s 50-year career in law enforcement began as a policeman during active military service in 1960 and continued afterwards while attending college to earn a Bachelor’s Degree in Criminal Justice Administration. Because of his honest and straight forward approach to law enforcement, he advanced to the rank of Police Chief. From there he moved to the position of Criminal Investigator with Pennsylvania Attorney General’s Office where he served 13 years. Arizona Department of Corrections and as an adjunct faculty member at Estrella Mountain Community College teaching Criminal Justice courses. 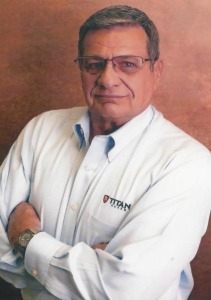 With his extensive knowledge and expertise in Criminal Justice, he was asked by the US Justice Department to join a Criminal Justice System Team slated to train and advise the Iraqi Police in Iraq after the fall of Saddam Hussein. He served four years in Iraq, returning to the United States in early 2008 where he secured a position with a private security company as Director of Public Relations.